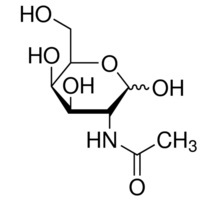 An amino sugar that is a component of many O-linked and N-linked glycan structures. As UDP-GalNAc, GalNAc is the initial O-linked sugar to many serine and threonine residues in protein glycosylations. Available in bulk quantities of 50, 100, 220 kg or more, inquire about pricing.